PT PAL Indonesia (Persero) – PAL is an Indonesian state-owned company that is involved in shipbuilding and engineering services. Its business include shipbuilding, repair and maintenance as well as general engineering services. PAL’s main business focus rests on 4 business lines: merchant shipbuilding, naval shipbuilding, general engineering and repair and maintenance services. PT PAL Indonesia (Persero) was formed in 1980 and is fully-owned by the Government of Indonesia. 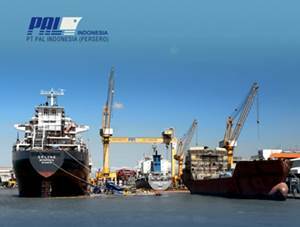 Headquartered in Surabaya East Java, PAL now has 1 Jakarta representative office and 1 subsidiary, namely PT PAL Indonesia Marine Service (99.8% direct ownership). As of December 2014, PAL supported by 1,267 dedicated employees. PAL’s business results in 2014 showed improved performance compared to 2013, which was from a loss of Rp 382.2 billion in 2013 to a profit of Rp 13.9 billion in 2014. PAL’s total revenue in 2014 amounted to Rp 561.1 billion decreased by 32.94% compared to the year 2013 amounted to Rp 836.8 billion. This figures was quoted by JobsCDC.com from the Indonesian State-Owned Enterprises Profile 2015 issued by the Ministry of State Enterprises (SOEs). Minimal education of Vocational High School (SMK). Able to understand the K3 norms. Able to understand and use of work equipment. Able to understand and apply the 5 R.
Able to work on target. Able to read the working drawing (for fitter). Possess certification in welder (for welder).